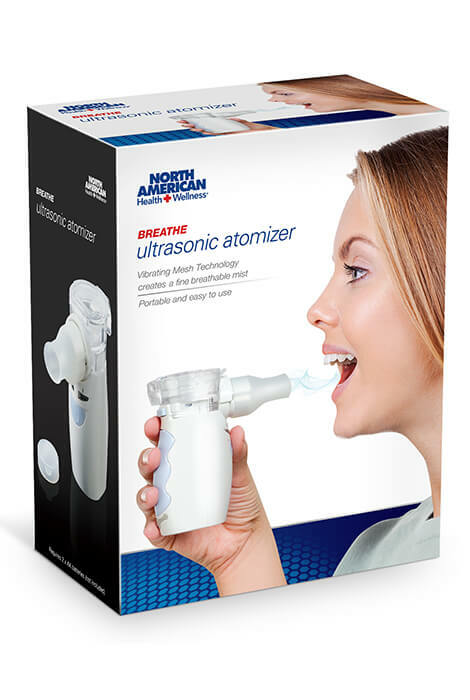 Get fast relief from allergies, pollen, asthma and more with the Breathe Ultrasonic Atomizer. 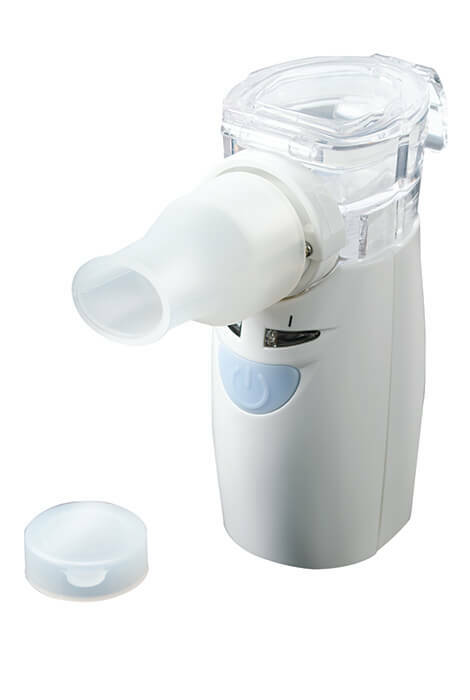 The Vibrating mesh technology creates a fine mist with an average particle size below 5 microns, providing soothing, breathable relief instantly. 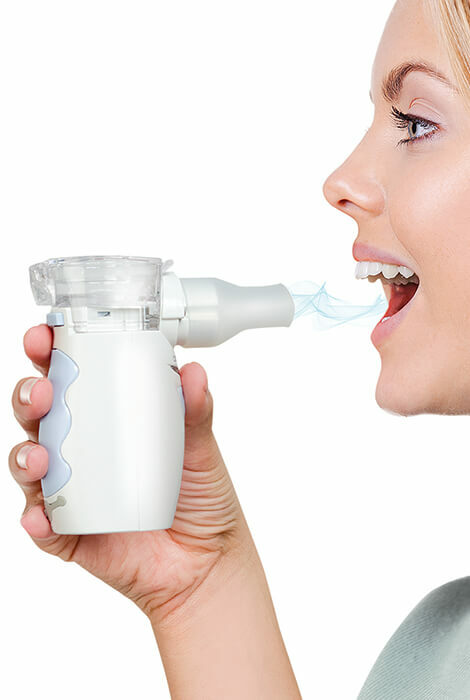 Faster than a nebulizer, which delivers a liquid-to-mist solution over 10 minutes, this atomizer provides the same combination instantly in small, metered amounts. Quiet and conveniently pocket sized, this steam inhaler comes with a travel pouch that allows you to easily take it on the go. Measures approx. 2 13/16" long x 1 5/8" wide x 4 1/4" high. Requires 2 AA batteries (not included).